Fabulous colors and capture of this working ligthouse! Congratulations on your sale! Thank you so much, Bruce, for your visit and support!! Many thanks to the buyer from Chicago for purchasing this today! Extraordinary capture (L/F) and Hello from Michigan. Many thanks to the buyer from Oceanside, CA for purchasing a print of this today! 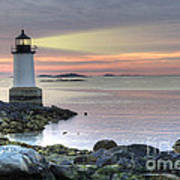 Beautiful and serene scenery, Congratulations on your sale! Lovely capture! Congratulations on your sale Juli! Awesome capture, Juli! Congratulations on your sale! 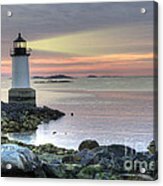 Beautiful lighthouse image with the sunrise in the background! Picture perfect Juli, love it! A f/l/v too. Very nice....all your work is beautiful. love your work. Looking forward to seeing more. Fort Pickering Lighthouse was built in 1871 at Winters Island which is now connected to mainland Salem, Massachusetts. John Harris, an Ipswich native and Civil War veteran, became keeper in December 1882. 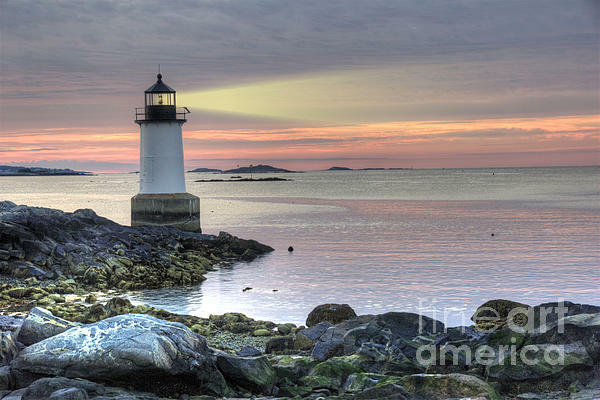 On the occasion of his retirement in 1919, when he was 75 years old, it was reported that Harris had been absent from the lighthouse for only five nights in 37 years. He ventured only occasionally into the city, about two miles away, for supplies. Harris often rode his horse into the city. Until his retirement, he never saw the streets of Salem after dark, and he never rode in a car. On the night he retired, Harris attended his first motion picture.